Western Cape Premier Helen Zille has been booed at a ceremony at Vredendal on the West Coast where President Cyril Ramaphosa is handing over title deeds to fifty families. Zille has criticised what she described as the blurring of the line between party and state. Zille said she was aware that some of the people in attendance at the ceremony were en route to another ANC rally in Citrusdal which is expected to be addressed by President Ramaphosa. The Western Cape premier said a government-funded function must cater for all people irrespective of political party affiliation. She was then booed by the crowd. 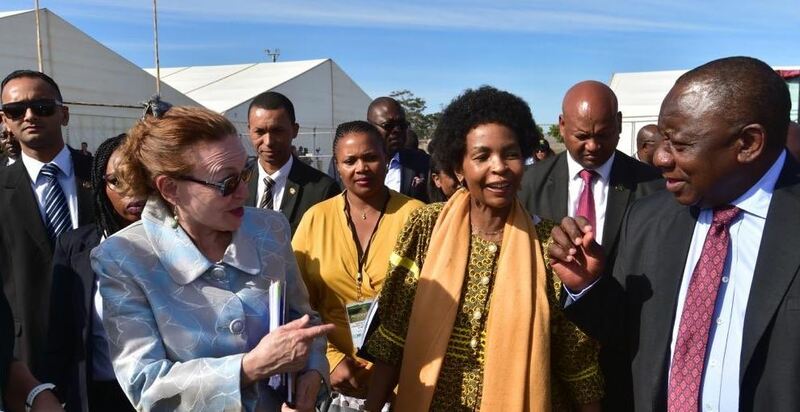 President Cyril Ramaphosa is accompanied by the Minister of Rural Development and Land Reform, Maite Nkoana-Mashabane. They have handed over title deeds for nearly four thousand hectares of commercial farmland. The beneficiaries are the direct descendants of the Griqua Community that established themselves on the farm Vanrhysdorp since 1926. The post Zille booed, as Ramaphosa hands over title deeds appeared first on SABC News – Breaking news, special reports, world, business, sport coverage of all South African current events. Africa's news leader..